"Better Training = Better Results"
Our Boot Camps are designed to quickly change your body with fun and challenging varieties of workouts. We combine resistance activities with bouts of body weight cardio to blast through calories and build slimmer and stronger bodies. High Intensity Interval Training. 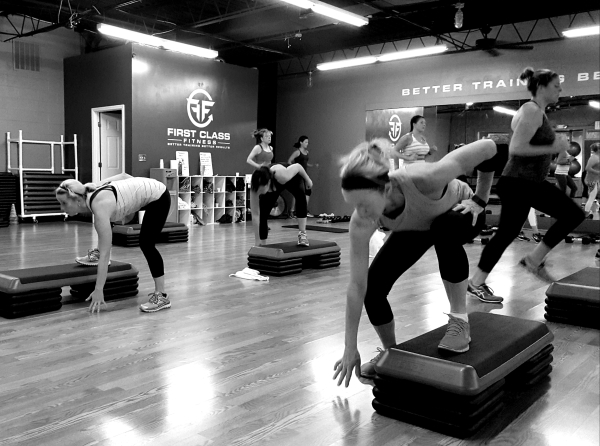 We combine resistance and body weight cardio bouts in 30 sec intervals to give you a full body, calorie burn! Cardio Lift is a resistance class for the whole body. We throw in some plyometrics and core work to really maximize the workout! We give the resistance training a break and turn to a calorie scorching body weight cardio workout interval style! Pyramid is a favorite and a good muscular endurance challenge. Sometime its intervals, and sometimes its set but its always a great workout! We end the week off with a fun and challenging cardio workout with a combination of intervals and sets!